Andrew Broy, president of the Illinois Network of Charter Schools, said the survey shows the need for school choice. THE LOOP — A survey conducted by a statewide charter-school group finds that only 30 percent of Chicago Public School students attend their local neighborhood high school. Andrew Broy, president of the Illinois Network of Charter Schools, which released the survey Tuesday, said it's proof of why charters are needed. Yet Ald. Ameya Pawar (47th) countered that it's symptomatic of larger ills. According to the survey, 70 percent of CPS students opt out of their designated neighborhood high school. Of those students, 38 percent attend selective-enrollment schools, 30 percent choose charter schools, 9 percent attend other citywide non-selective schools and 23 percent attend another neighborhood high school outside their local area. Ald. Ameya Pawar said the survey results are symptomatic of larger problems. Broy said CPS parents "know what has gone unsaid for far too long — the school around the corner isn't always the best place to fulfill their dreams." He added, "Why haven’t we as a city questioned the policy of zoning children to schools that have historically underperformed?" According to the charter study, the connection was clear between quality and attendance. High schools rated by CPS as at least "Level 2-Plus" — the middle of five performance ratings — had more than 50 percent local attendance. "Level 2" schools, however, drew 37 percent of students in their assigned area, while "Level 3" schools, the lowest rating, had just 24 percent of local students. 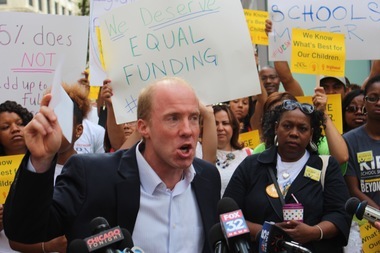 "Every child in Chicago deserves a seat in a high-quality school that makes good on the promise of education, but the sad reality is there are still pockets of our city where few, if any, of these opportunities exist," the group said in a news release. 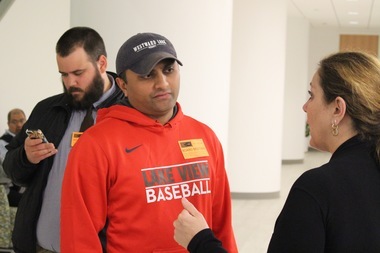 Yet Pawar said the survey only bolstered his position that neighborhood schools should be strengthened to stabilize their surrounding communities. "I think selective enrollment and magnets and [charters] strip the connection between the community and their neighborhood school," Pawar said, adding that in his North Center area there's a "churn" in new parents buying into the area with its relative wealth in elementary schools, then leaving as their children approach high school and the entire uncertain process of qualifying for a selective-enrollment school or not. "You build a school system from K-12," Pawar said. "That's the stability that I think every family is seeking out in the City of Chicago. "If you can't smooth some of this out, this is where we're going to have a larger community problem. I think we already see it," he added. "So that's where the [charter group] folks get it wrong. I understand what they're trying to do, but I think they're missing the connection between a school and the community." Ald. Matthew O'Shea (19th) said he "couldn't agree more" with Pawar. "We need to get more resources into our neighborhood high schools," he said. O'Shea immediately pointed to efforts to increase local attendance at Morgan Park High School. "We've been working to bring additional resources in there," he added, including making it a so-called wall-to-wall International Baccalaureate school. "Frankly, it's not enough. Morgan Park High School was built in 1916," O'Shea said. "It's a crumbling older building. We need to keep putting in additional resources — bricks and mortar, but also what's in the classroom." CPS did not respond to requests for comment.